Because a patient with two broken arms was unable to hold a cigarette, authorities in a St. Louis, Mo., hospital devised the odd six-foot holder pictured at the right. A roommate lights a cigarette, places it in a hole in the end of the stick, and holds it to his friend’s lips. To raise his body for the purpose, he uses a support suspended above his bed, as shown. A nail in the end of the holder is used to feed the patient candy. 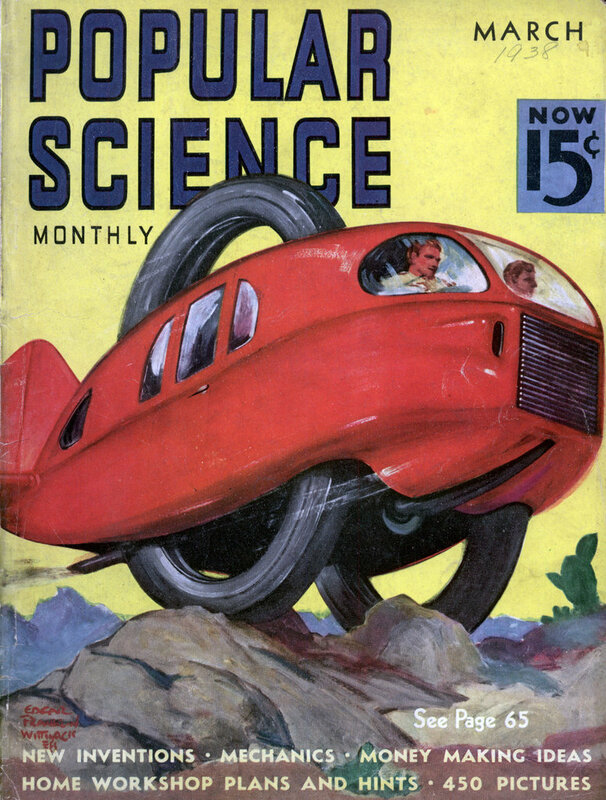 … or to club the patient to death, maybe. 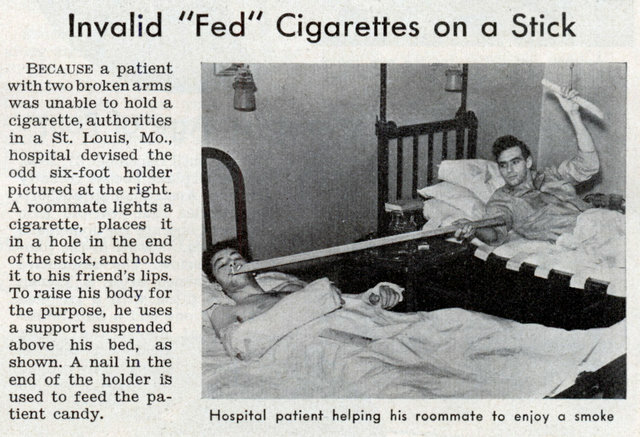 One wonders whether the “feeder” got a discount on his hospital bill for serving the cigarettes to his roommate. What’s with the cigarette advertisements from this jerk?